It’s time to think about holiday gift giving. Don’t forget the person who keeps your hobby thriving: the mail carrier. I checked with my local postmaster. 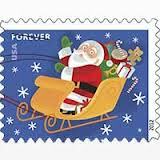 Postal regulations limit carriers to accepting gifts (cash or equivalent) of no more than $20. Gifts come in all forms. Do you know your carrier’s name? Have you ever gotten to thank them personally? When I spoke to the postmaster, I said how happy I was with Angela. She treats our mail like it’s her own. She’s that careful. Go to usps.gov. Fill out the consumer response form. Your appreciation will make a difference for your carrier, and your collection, in 2013. Coming Friday: A way to thank Virgil Trucks!